Rita Atlas Goldstein Wolfson, a vivacious and beautiful woman who drew second glances everywhere she went, never took her charisma for granted. Instead, she used it to turn heads and hearts toward causes for which she was passionate. 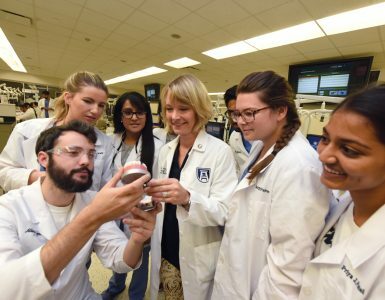 “People used to always tell me that my mother was gorgeous, at every age,” says the youngest of her five children, Dr. Adam Goldstein, a 1987 graduate of the Medical College of Georgia. His mother, Rita – and everyone called her Rita – died Feb. 1 at age 90 in her home of Chapel Hill, North Carolina. She left behind a legacy of stunning generosity, tirelessly using her gifts and talents to improve the human condition, according to the many who knew and loved her. One of the chief beneficiaries of her philanthropy was The Dental College of Georgia. Rita’s long marriage to Dr. Marvin Goldstein, an orthodontist, civil rights activist, philanthropist and businessman who died in 1997 at age 80, was characterized by a deeply committed partnership, both as husband and wife – they raised five high-achieving children – and as fellow humanitarians. Rita, who was raised in Washington, D.C., by parents stressing an unwavering commitment to the Judaic principle of giving back, was right by his side in that and every other endeavor – including his diligence in helping establish the Hebrew University School of Dental Medicine, the growth and sustenance of the Ben Massell Dental Clinic in Atlanta and in bringing a public dental school to Georgia. Goldstein had earned his dental degree from Emory University in Atlanta, but he strongly championed public education and was on the forefront of convincing the Georgia Legislature of the need for a first-rate yet affordable dental education in his home state. “He was one of the first to recognize the need and worked very closely with [Dr. Judson C.] Hickey to make it happen,” says his nephew. Hickey, of course, went on to become the founding dean of the school, which opened in 1969. As the Goldsteins’ activism intensified, so did their influence. The couple hosted luminaries including Georgia governors and Israeli prime ministers at their home and hotel in Atlanta. “A highlight of her life,” read Rita’s obituary in the Atlanta Journal-Constitution, “was the invitation from President Carter to her and Marvin to come to the White House for the Camp David Mideast Peace Signing. Rita met many world leaders, including Eleanor Roosevelt and President Clinton.” Rita co-chaired the United Jewish Appeal North America World Assembly in Atlanta and received the Friends of the Hebrew University’s Woman of Valor Award. 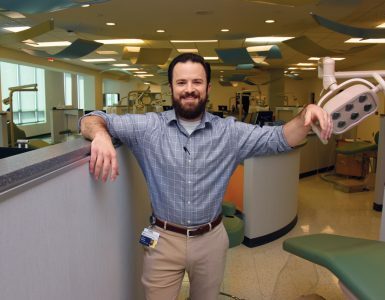 But despite their global reach, the Goldsteins never wavered in their support of one of the causes closest to their home and closest to their hearts – the success of the dental college they helped launch in Augusta. In 1978, Goldstein founded – and personally funded – DCG’s Marvin C. Goldstein Lecture Series, ensuring that the brightest minds internationally would share their wisdom and expertise in Augusta. When he died, Rita established an endowment for the lectureship, ensuring its continuation in perpetuity. Rita and her family also created the Dr. Marvin C. Goldstein Endowed Chair in Orthodontics at DCG, a chair currently held by Dr. Eladio DeLeon. 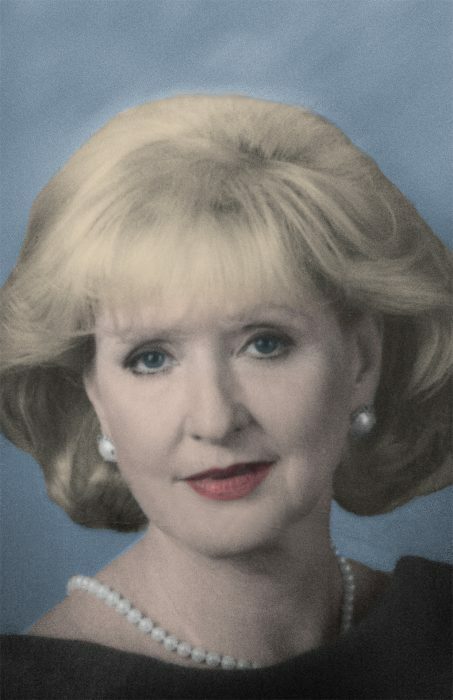 As voluminous as the family’s contributions have been, Rita’s loved ones say their most enduring memories of her legacy will be personal ones. The field of dentistry continues to reap huge benefits from the Goldstein family’s legacy. Dr. Ronald Goldstein wrote the all-time bestselling consumer book on cosmetic dentistry, Change Your Smile: Discover How a New Smile Can Transform Your Life (Quintessence Publishing Company). The book, translated into 12 languages, is now in its fourth edition. Dr. Ronald Goldstein also wrote the first complete textbook on esthetic dentistry, Esthetics in Dentistry (Wiley), and is currently publishing the fourth edition of the definitive text, for which several DCG faculty members contributed chapters. 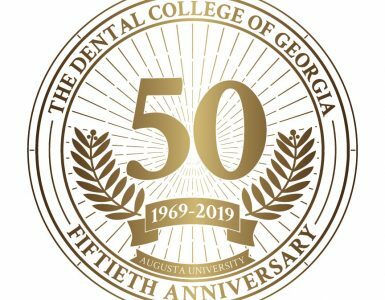 DCG has honored his achievements with its Ronald Goldstein Center for Esthetic and Implant Dentistry and Ronald Goldstein Resource Room, which houses, among other items, his extensive Coca-Cola collection. Marvin C. Goldstein Lecture Series. For 20 years, until his death in 1997, the family patriarch sponsored an internationally renowned dental clinician to share clinical expertise at this annual event. His widow provided a generous gift to ensure its continuation.